This webcast will give you the supporting information and help you need to shout about Business 2012 in an effective and productive manner. We'll share with you our social media and PR campaigns, our email marketing strategy and our online/offline advertising so that you can integrate your marketing along with ours. Harness 200 minds to take your business forward: With expert help and advice from 200 exhibitors, you can take your business to the next level in this amazing year for Great Britain. Gone are the days of lifeless exhibitions with rows of soulless stands - the future has arrived. 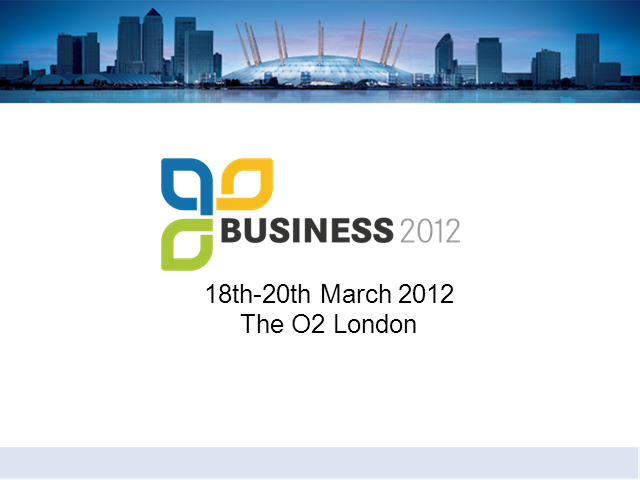 Business 2012 has been dissected into three areas to help you find the best solution for you during your visit.